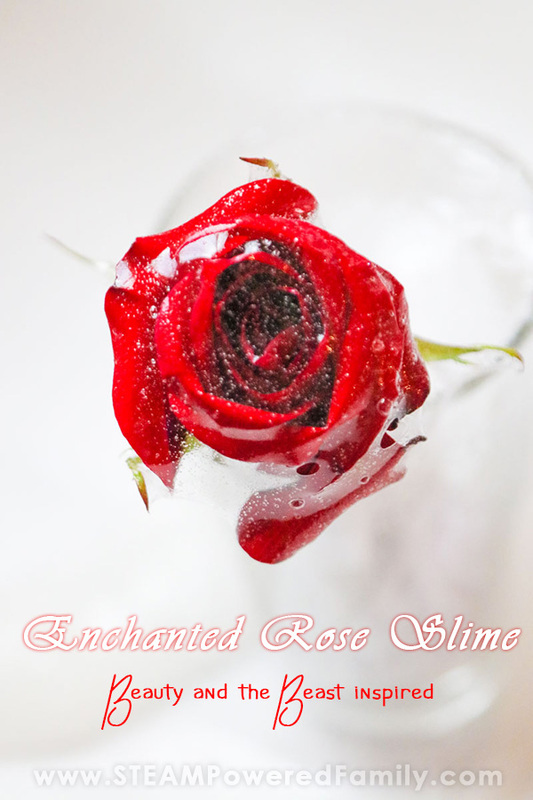 Enchanted Rose Slime - The most beautiful slime ever! 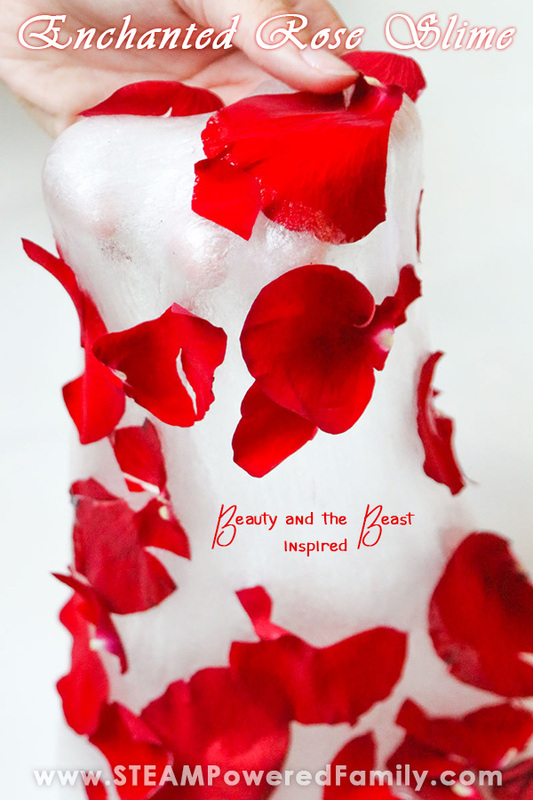 Who doesn’t love the story of Beauty and the Beast? The image of the enchanted rose captures the magic of the story so beautifully. It captivates the imagination and fills princesses everywhere with a little extra pitter patter in their heart. 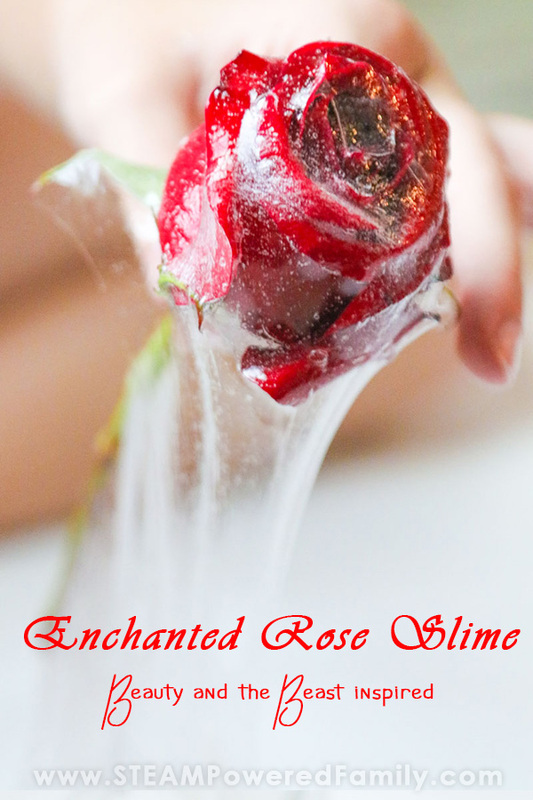 So what would be better than a slime that captures the magic of that enchanted rose and turns it into a gorgeous sensory play moment? 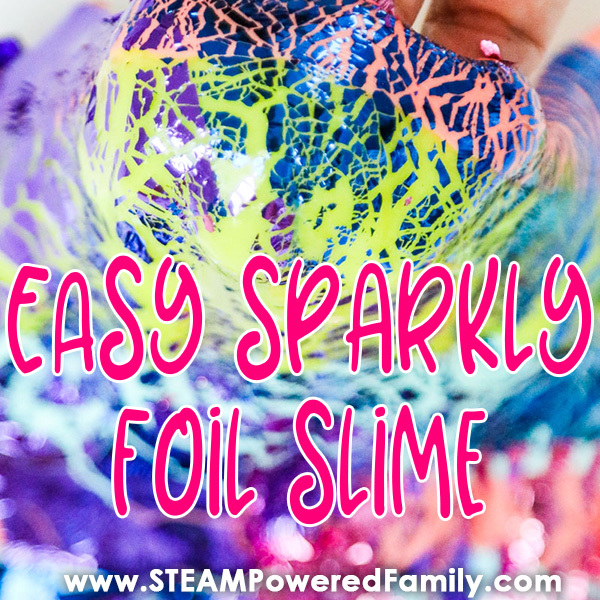 This slime would be amazing for a princess themed birthday party! I love roses. There is some thing so special and perfect about them. Whether they are a delicate bud or spread wide celebrating their glorious beauty, it is impossible not to lean in to take a sniff, your eyes closed, being totally in the moment. Your senses filled with the beauty of nature. When I make slime it is often because we need to calm down a bit, slow down, centre ourselves and become a little more present. 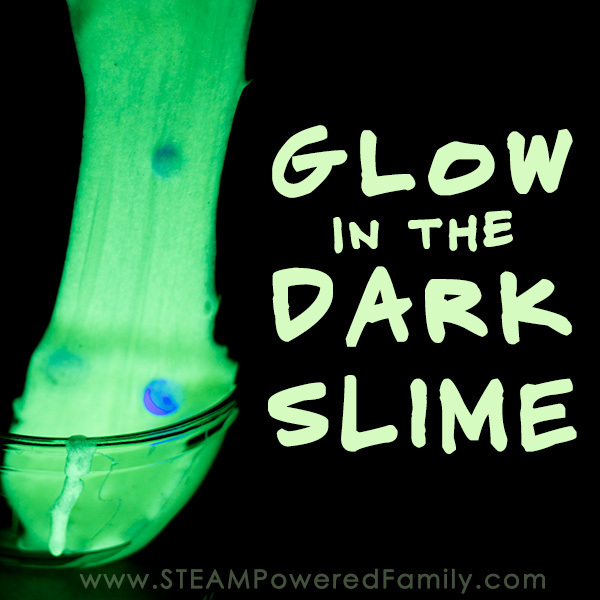 Slime is wonderful for helping my kids find those mindful moments. Especially when it is such a beautiful stimulation for the senses like this rose slime. I will warn you now, there are a lot of pictures here. 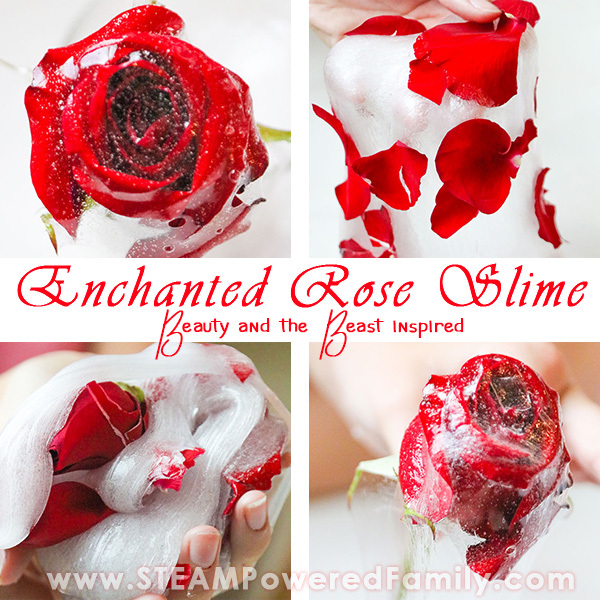 This rose petal slime is just too gorgeous not to share tons of photos! Now you could technically make this slime however you want, but we always use contact lens solution and baking soda as our slime activators. First we live in Canada, so liquid starch is not available (unless you pay a fortune to import it) and our government recommends not using borax powder around kids. I also have a heart condition and inhaling borax powder is a trigger for my condition. Add to that I have a lot of allergies and sensitivities and I am very limited in what I can use. This recipe is extremely gentle and great on my sensitive skin. 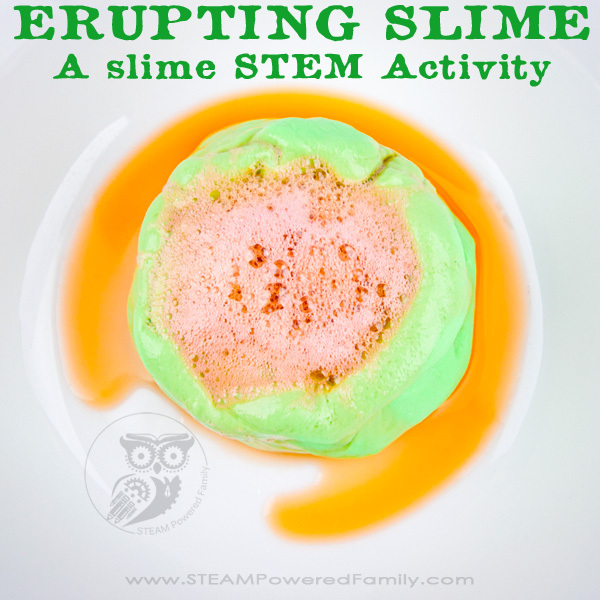 You can learn more about our history of slime and finding this recipe here. Add the glue to the bowl, just dump the whole bottle in the bowl. Add 1/2 teaspoon baking soda and mix well. Now start slowly adding the contact lens solution. 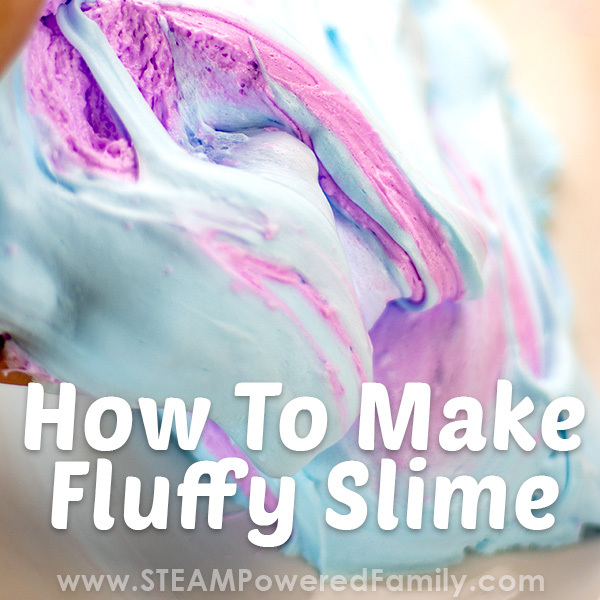 This stage is where you can make a mistake with this slime recipe. If you over do the contact lens solution your slime will become stiff and break. Add little bits at a time and mix really well. Start with 1 teaspoon, mix like crazy. Then add 1/2 teaspoon, mix like crazy. It should be getting stringy and pulling away from the sides. Add some saline to your hands then start kneading it. A good stretchy slime is a great hand work out! It will start sticky but after a few minutes (yes I said minutes!) of kneading it like taffy it will lose the sticky and get super stretchy. Your slime is now ready for the magic! Before you start I recommend carefully removing thorns from the stem of your roses. 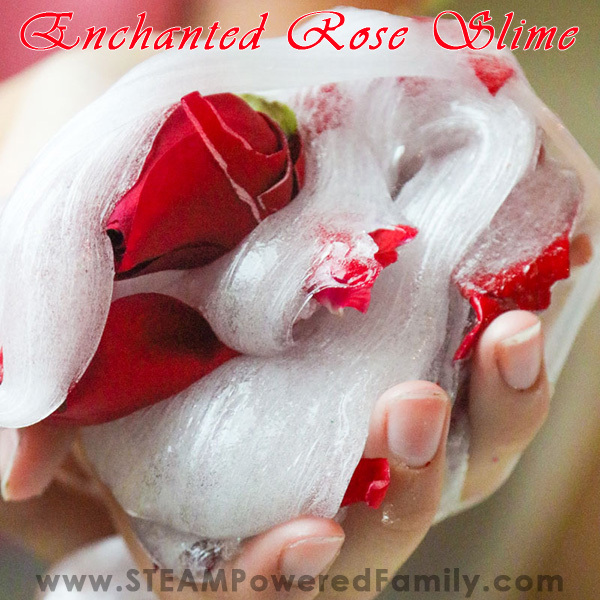 There are a few different things you can do with your rose slime. For this first idea with your rose slime, I recommend placing a rose in a cup. 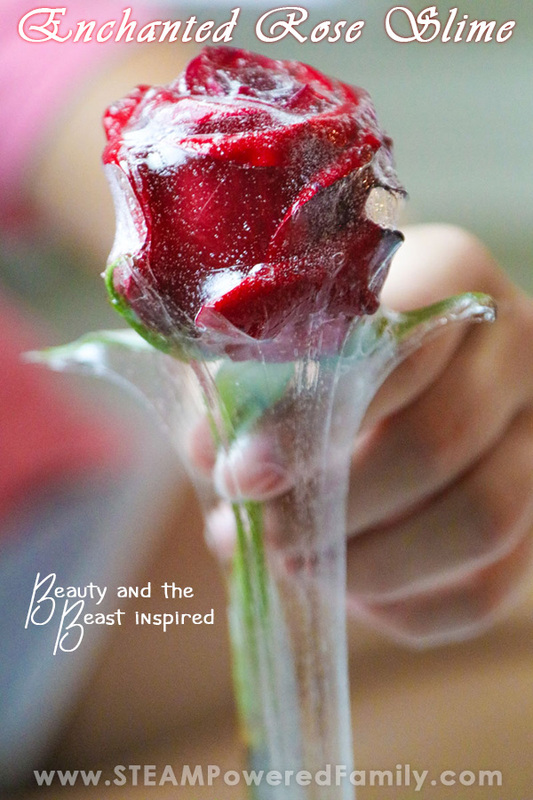 To start take your slime and stretch it out so it starts to thin, now drape it over your rose to make a beautiful captured rose, like the rose under the glass dome. But ours is sparkly and stretchy and slimy! The effect is absolutely STUNNING! Feel free to play with this until your rose starts to fall apart. 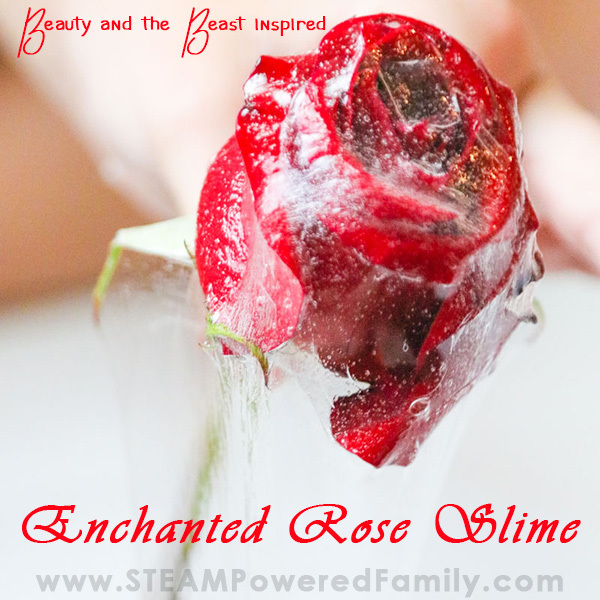 It is an amazing sensory experience to explore the rose through the slime. Now it is time to gather the petals. 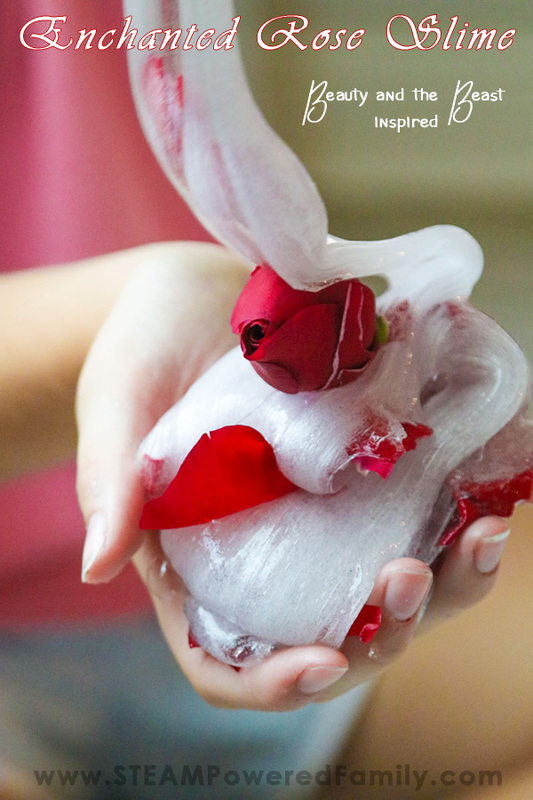 Place your slime on a safe surface and drop your rose petals over the slime. It looks like a dress I could totally see Belle wearing and twirling across the dance floor in! As you play with the slime the natural fragrance of the roses will intensify, creating a wonderful sensory experience for your eyes, your nose and your hands. You can even add a few small rose buds for a bit of extra sensory play. Plus the rose buds will bring a bit more fragrance if needed. 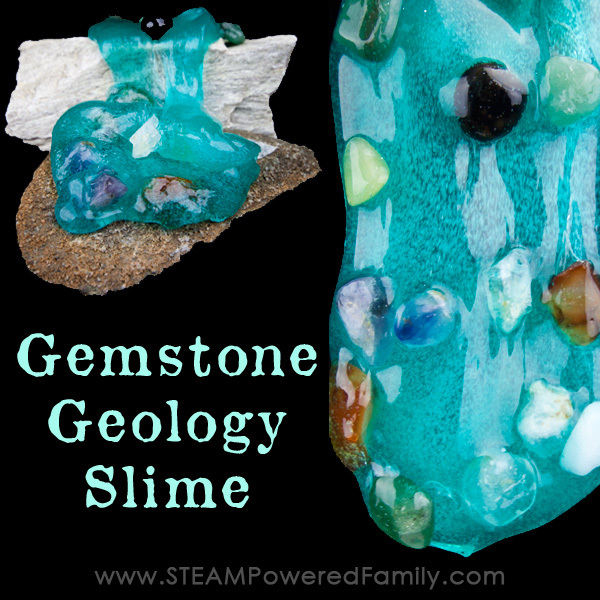 This slime is absolutely stunning and beautiful. I rank it right up there with my crystal slime for my favourites. I could make this for me to use over and over again! It would also be amazing for a princess themed birthday party, especially if you have a little Beauty and the Beast lover who dreams of being Belle. 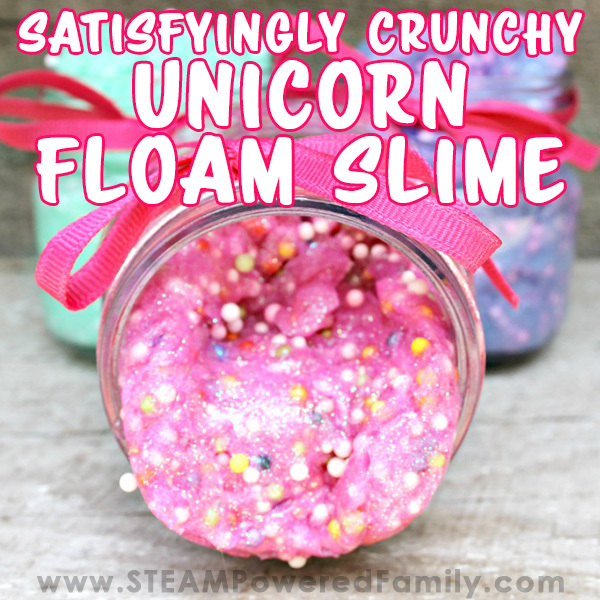 Want more unique Slime recipes? Check out some of our favourite slimes we have made!